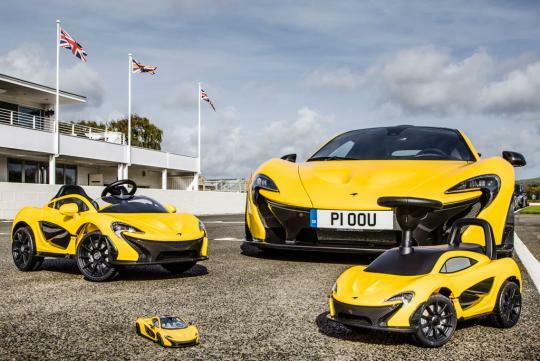 McLaren is celebrating the fifth anniversary of the P1 in little ways — little, littler and littlest. 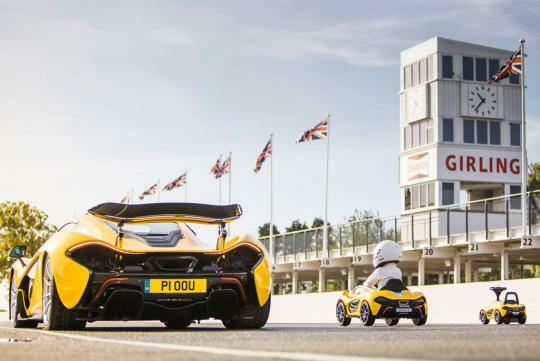 Touting it as alternative-fueled, McLaren has announced a "foot-to-floor" P1 for the under-3-year-old set. It makes two pounding feet of torque. As McLaren says, "0-200 metres-per-hour acceleration entirely biscuit dependent." 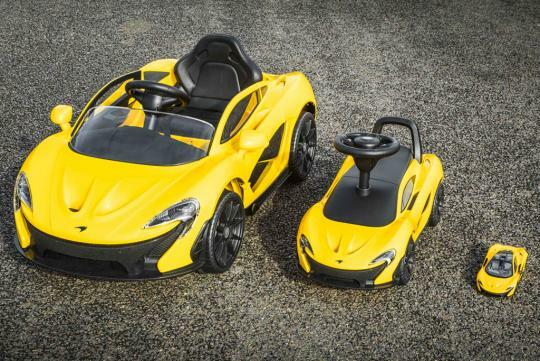 This joins the McLaren P1 electric Ride-On, for the slightly older brother or sister. Now, this baby can do up to 3 mph. 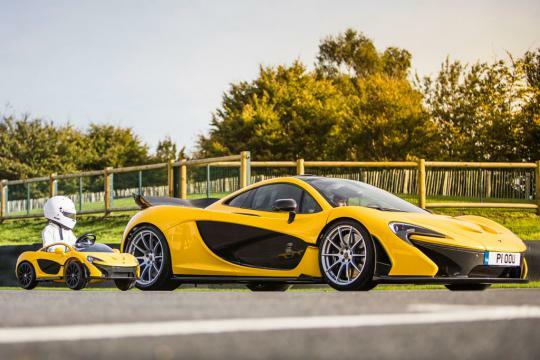 And that leaves the McLaren P1 Tecnomodel collectible for mom or dad, since all 375 examples of the real P1 were sold. Speaking of which, the "foot-to-floor' McLaren costs £35.99, or about S$65. It becomes available on England's This Is It website in December and will ship in time for Christmas. The electric Ride-On from Avigo/Huffy costs S$270 in U.S. at Toys R Us. And the tiny Tecnomodel starts at £345 (about S$615) and is available at the Tecnomodel website. 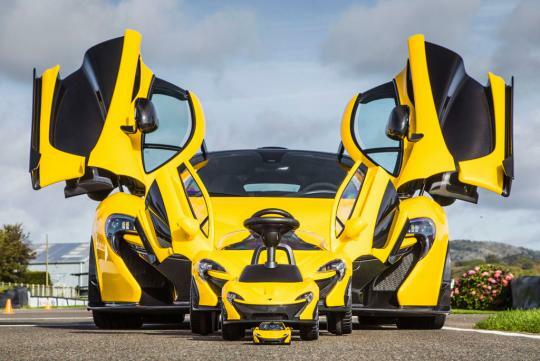 All three of the mini McLarens come in Volcano Yellow. McLaren's got the pedal down on other licensed P1 products as well. You can get die-cast models from AutoArt, TSM, Kyosho, Motormax, Kinsmart and Hot Wheels; resin models from Amalgam, TSM and Tecnomodel; and Scalextric slot cars. An Airfix 'Quick Build' model kit is available.